Reasons Why People Borrow Money – Which Payday Loan ? If you look at it in its simplest terms, someone wants to borrow money, someone has money they wish to lend. You take out a loan from the lender, terms are discussed such as how long you will be paying the loan back, and at what rate of interest. You have the money you need, the lenders make money off the interest, sort of a win-win situation. If the lender charges a high or excessive rate of interest, the loan can be said to be usury. Many loans granted centuries ago did carry with them excessive rates of interest, almost to the point of keeping someone perpetually in debt. This changed in 1545, when King Henry VIII brought into play “An Act Against Usury”. Besides this Act being passed, there have been many interesting facts regarding borrowing money here and in other countries and times. * The Romans allowed loans, however, they were controlled tightly by law. * In Midieval Europe, charging any interest on a loan was considered usury. * In the 1860’s, shop keepers gave out numbered coins made from brass or copper, which were used as credit cards. * Up until the 60’s, some shops had charge tags for credit accounts. The tags were kept in the store and not with the customer like credit cards are carried today. * In 1950 the first credit card appeared, it was a Diner’s Club credit card. In looking at reasons why we borrow money, it is helpful to have an overview of what type of loans that are available to us. The reason for the loan, is going to tell you what type of loan you may require. All loans and lending can be broken down into two main categories, secured loans and unsecured loans. Secured: A secured loan is a loan that has some form of collateral attached to it. The borrower pledges the item to secure the loan. 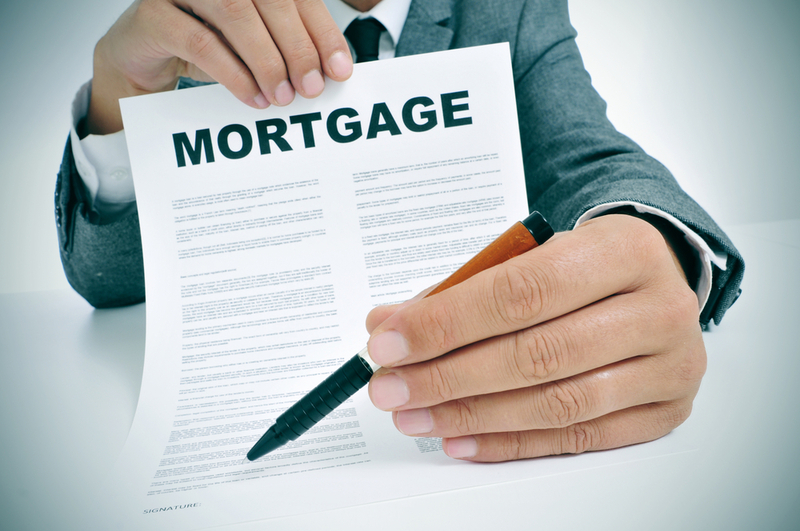 An example is a mortgage loan to purchase a property. The mortgage loan is secured by the property, if the borrower does not make the agreed payments, the lender can repossess, or take back the property. Another example may be a car loan, the car secures the loan. Secured loans are less risky to banks and lenders due to the fact there is something of value that can be taken back if the loan is not paid. Unsecured: Unsecured loans are just the opposite of a secured loan in that there is no collateral or item(s) secured to the loan. Examples of unsecured credit or loans would be credit cards, overdrafts, personal loans, and lines of credit. These types of loans carry a higher risk to the lender, so usually the interest rates on unsecured loans are higher than secured loans.Guarantor loans are also popular types of loans. * Mortgages: These are a secured type loan used to buy a property. * Auto Loans: Another form of secured loans used to purchase a car. * Credit cards: Unsecured, revolving credit. The card issuers gives you a line of credit and you can use the card to make purchases to that level of spending. As you pay the account down, you have access to the credit again. * Overdrafts: Overdrafts are unsecured lines of credit attached to our bank accounts. * Personal loans: These types of loans can be secured or unsecured. If you were getting the loan to buy a caravan or jet ski, the loan may be secured by that item. Personal loans can also be used to consolidate other smaller loans. * Bad Credit Loans: These are loans for people with bad or poor credit. They can be secured or unsecured. Examples are payday loans and guarantor loans. These types of loans are not granted just on credit history, so someone with poor or slow credit can still qualify for the loan. Now that we know the various types of loans and forms of borrowing that are available to us, what we plan on using the loan for, in most instances will dictate what type of loan we require. We borrow money because we want to buy something. It may be as large as a property or a car, or something smaller like furniture or a computer. We may borrow money to spend it on experiences. It may be something as large as a loan to travel the world, to something smaller, like using a credit card for a meal out. Studies have shown that people that spend their money on experiences over buying things are happier. The experiences last longer as a memory as well. We may borrow money to pay off other accounts or loans we ave. We consolidate other smaller debts into one larger loan, which gives us just one monthly payment. This can be a sign of a larger issue, such as being over-extended financially and borrowing too much. Some people borrow money to live beyond their means. It can anything from taking out a loan to make a lavish purchase of something you really do not need, to using credit and credit cards to make up a shortfall in your income each month. You borrow to bridge the gap between your income and your expenses, in stead of looking at ways to reduce your expenses. Taking out a loan and borrowing money to buy a car or property is almost required, as who can save up and pay cash for these items. However, there are a few times when borrowing is not the answer. Borrowing money for holidays, weddings, and nights out are a few examples. So as we can see, there are good reasons to borrow money and take out loans, and also a few not so good reasons to be borrowing and taking out a loan. Previous Are Payday Loans History?